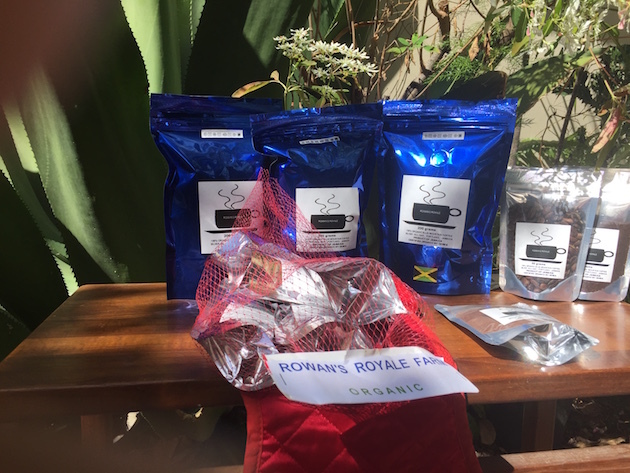 Rowan-Campbell is a select grower of the famous Jamaica Blue Mountain coffee, one of the most rare and expensive coffees, favoured for making delectable espresso. 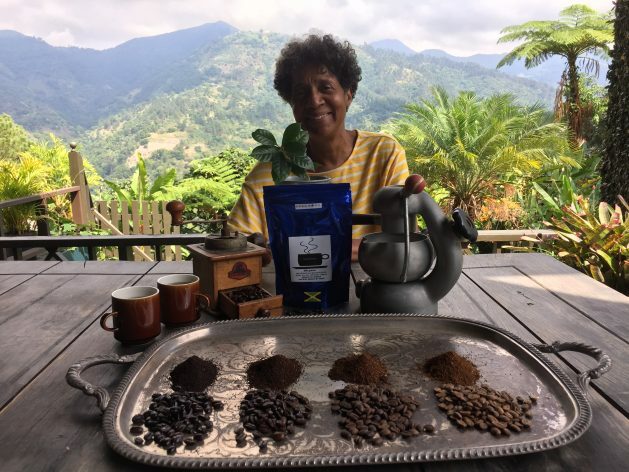 “I was foolhardy I just wanted to get up in the mountains and try farming,” Rowan-Campbell tells IPS about her foray into growing coffee, an energy-boosting beverage loved the world over, which may well become scarce, thanks to climate change. Growing organic coffee was a major shift from conventional coffee farming but it was a big bet. Her father grew coffee the conventional way using polluting pesticides, herbicides and industrial fertilisers to manage pests and diseases while maintaining soil nutrition. She cultivates over half a hectare of the farm with more than 1,800 coffee trees. “Organic came [about] because everyone said ‘You need a big 50-60 gallon drum to mix pesticides’ and I thought not me,” says Rowan-Campbell, a former Commonwealth Director of the Women and Development Programme at the Commonwealth Secretariat in London. She beat the odds of having initially a poor knowledge about organic farming. Her husband and small staff were trained in organic farming techniques. And the organic farming experiment worked. In 2002, BCS OEKO-GARANTIE in Germany—which certifies some 35 percent of all organic products in the country— certified the farm organic. Since 2004, it has been inspected and certified annually by the Certification of Environmental Standards (CERES), an organic certification agency that uses the presence of birds as one indication of environmental balance. A 2006 study, by Humbolt University and the University of the West Indies, into birds as vectors of pest control found that although Rowan’s Royale was the smallest farm in the sample, it had the most birds, the greatest variety of birds and the least coffee berry borer (a beetle harmful to coffee crops). “As an organic farmer, I have to harness nature and work with it because we do not use any chemicals on my farm. I have insects and birds and they eat more than 50 percent of any pests that would attack my coffee so the quality of the coffee is naturally protected,” she says, explaining that she mulches and prepares natural compost for the coffee trees and manages pests and diseases with natural chemicals. 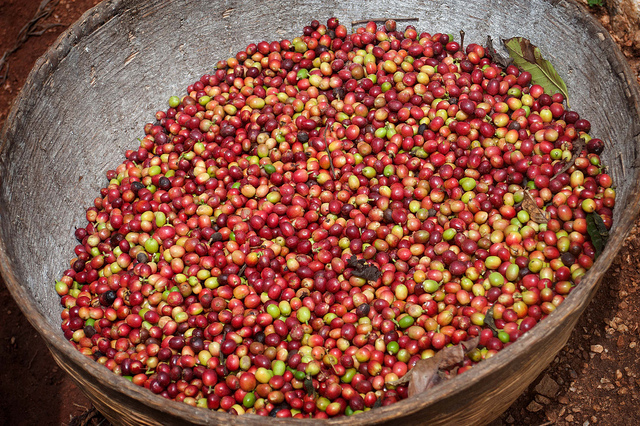 An estimated 4,000 farmers are growing Blue Mountain Coffee in Jamaica. This year Rowan-Campbell expects to harvest up to four tonnes of coffee beans and is marketing the coffee in America, Europe and Asia. Once Rowan-Campbell packed a packaged, a box with various coffee roasts and sent it to Prince Charles, the future king of England via a courier. But he never got it. Coffee is vulnerable to temperature change as it only grows at specific temperatures around the tropics. Scientific research is showing that climate change will reduce coffee growing areas around the world by up to 88 percent by 2050. It has become necessary for more than 25 million coffee farmers in more than 60 tropical countries to adapt to climate change using a blend of techniques such as shade improvement and crop rotation. “Our results suggest that coffee-suitable areas will be reduced 73–88 percent by 2050 across warming scenarios, a decline 46–76 percent greater than estimated by global assessments,” says a study by the PNAS journal. Coffee is the second most commonly traded commodity in the world, trailing only as a source of foreign exchange to developing countries, according to the International Coffee Organisation. Bouyed by global demand for organic produce, Rowan-Campbell—an active member of the Jamaica Organic Agriculture movement—is also growing root vegetables and makes organic jams and marmalade. “For me organic farming it is the most important thing in farming because it says you are building a sustainable future for your great [grand] children,” she said. However, what has made organic farming work? “Probably love and passion,” she says. “I think it is important that in Jamaica we have this wonderful flavour of coffee. It is a gift because coffee is grown at a certain elevation and the soil is good. Since 2004, the farm purchased by her father in 1960 has weathered four hurricanes with Hurricane Dean in 2007 damaging close to 70 of the coffee trees. Despite this, Rowan-Campbell says organic methods have prevented landslides and soil erosion on the farm. Rowan-Campbell is a certified inspector and trains other famers in organic farming and promoting certification. Last year she was part of an initiative to develop a Caribbean Community (CARICOM) standard for organic coffee production. Organic coffee farmers in Jamaica have had to overcome the challenges of poor regulations for organic coffee, high license fees and local certification. Rowan-Campbell says she has no plans of expanding the business. She wants to keep it small, efficient, profitable and delivering high quality export coffee.